Deep-rooted hostility built up over years must be overcome if the anti-establishment 5-Star Movement and the centre-left Democratic Party (PD) are to strike a deal to form a government and end Italy’s post-election stalemate. The third-largest economy in the eurozone has been in political limbo since a vote on March 4 produced a hung parliament. A centre-right alliance led by the anti-immigrant League won the most seats and 5-Star emerged as the biggest single party. The PD came a distant third. After an initial attempt to form a coalition between the centre-right and 5-Star ended in failure, President Sergio Mattarella last week asked 5-Star and the PD to try. Italy’s anti-establishment 5-Star Movement opened the door to coalition talks with the centre-left Democratic Party (PD) on Tuesday (24 April), saying the only other way to end a political deadlock would be a return to the polls. 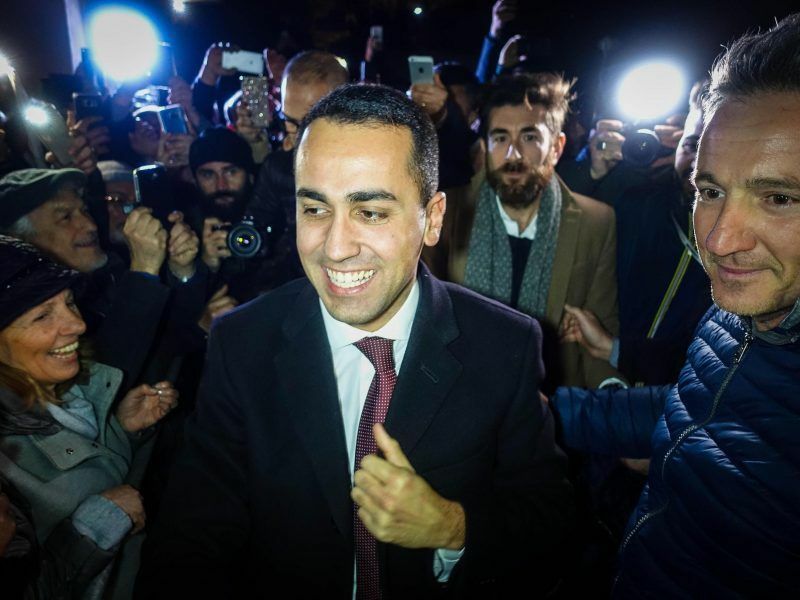 If it were only about policies, the sides should be able to find some common ground, especially since 5-Star’s 31-year-old leader Luigi Di Maio has recently shifted his party towards more moderate positions, close to those of the PD, in terms of fiscal policy and Europe. Both parties want to try to renegotiate Europe’s fiscal rules to allow Italy to cut taxes and increase investment, but say they would hold the budget deficit below the EU’s ceiling of 3 percent of gross domestic product. 5-Star has abandoned a previous pledge to hold a referendum on Italy’s euro membership and its flagship policy, a universal income support for the poor, is essentially a more generous version of a policy already adopted this year by the PD. Three policy priorities put forward this month by PD leader Maurizio Martina, centred on increasing welfare provisions and fighting poverty, were broadly similar to recipes advocated by 5-Star. However, the PD is split between factions that want to go into opposition, led by its former leader and Prime Minister Matteo Renzi, and others that want to negotiate with its most bitter adversary during the last five years of PD government. Renzi’s successor, acting leader Martina, is in the second group, and he has called a meeting of the PD’s executive body on Thursday to decide whether to begin talks. 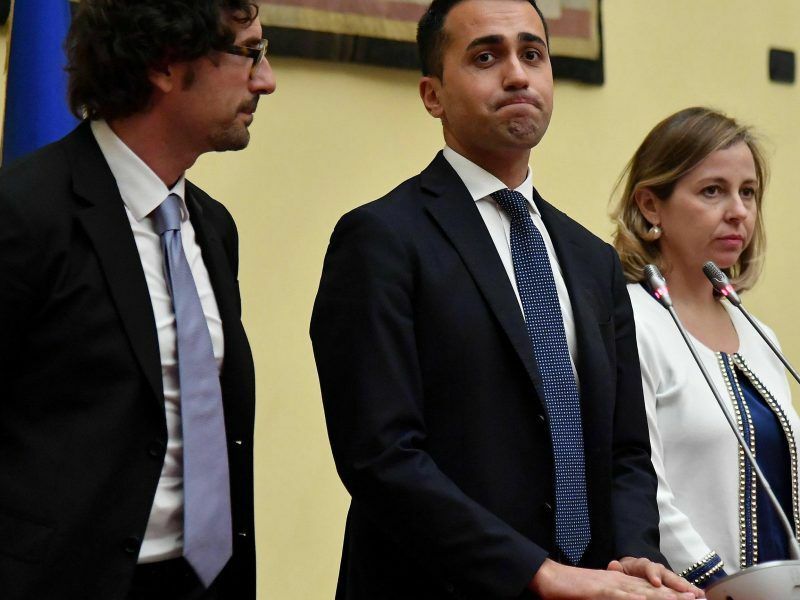 The 5-Star’s leader Di Maio wants the two sides to come to terms on a limited number of policy goals, but Renzi loyalists do not even want to discuss policies. Renzi’s supporters say that as a junior partner to 5-Star the PD would get no credit for any government successes and would share the blame if things go wrong. Advocates of a deal say the greatest danger for the PD would be a quick return to the polls, where it risks losing even more support. Senior members of Italy’s vanquished Democratic Party yesterday (6 March) eyed a possible deal with the triumphant 5-Star Movement (M5S), following an election that left the country with a hung parliament and anti-establishment and far-right parties vying to form a government. The differences between the parties are about identity and personalities more than policies, and they run very deep indeed. The 5-Star Movement was founded in 2009 by comedian Beppe Grillo as a protest against what he saw as Italy’s corrupt establishment made up of business tycoon Silvio Berlusconi’s Forza Italia party on the right, and the PD on the left. 5-Star has always maintained there is little difference between the two. It blames the PD for never passing a conflict of interest law to curb Berlusconi’s media empire, and says that with its pro-business, politically-correct agenda it is an expression of vested interests and the status quo. “The PD simply represents banks and multinationals,” Grillo said in 2016. 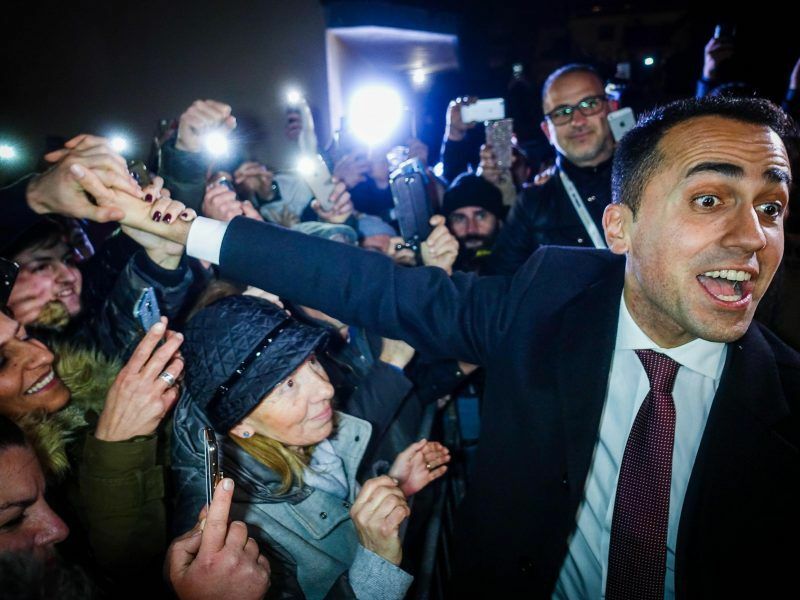 The anti-establishment 5-Star movement and the far-right Northern League could have enough support for a majority after Sunday’s (4 March) general election, although some analysts believe such a coalition is unlikely. A poll published on Saturday by the SWG agency showed twice as many 5-Star voters identify themselves as centre-left than centre-right, yet the majority still preferred the idea of 5-Star governing with the far-right League than with the PD. The findings suggest that being pro- or anti-establishment is a more significant divide for 5-Star voters than the traditional left-right ideological labels. Grillo, 69, has taken a back seat in recent years, but his furious rants against the PD when he spearheaded the movement have left deep scars, and 5-Star lawmakers have sometimes been as verbally abusive as he was. “Disgusting mafiosi”, Paola Taverna, now deputy speaker of the Senate yelled at her PD counterparts in the upper house of parliament in 2015. As prime minister Renzi reserved most of his political attacks for 5-Star rather than Forza Italia or the League. In return, he was dubbed a “half-wit” by Grillo and his followers. “We can’t pretend there weren’t five years of government on one side and five years of insults on another,” said Simona Bonafe, a PD European parliamentarian who is close to Renzi. The insults have flown in the other direction too, with PD parliamentarians calling their 5-Star counterparts “fascists”. The PD presented a new electoral law a few months before the vote which it later admitted was aimed at preventing a 5-Star victory. 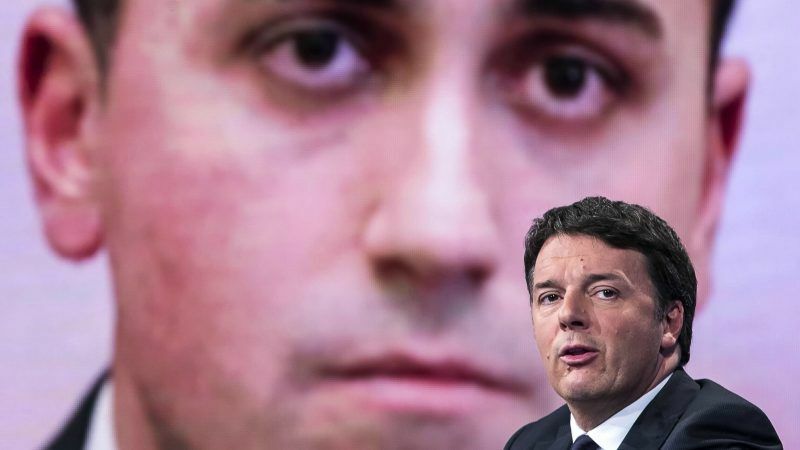 There is no doubt that the main obstacle to a deal between the two parties is Renzi. He resigned as PD leader after the election when it won just 18 percent of the vote, its worst ever result and some 14 points behind 5-Star, but he had hand-picked most of its parliamentary candidates and retains a major influence on its decisions. Some 5-Star lawmakers fear that even if the PD agrees at Thursday’s meeting to open policy talks, Renzi and his followers will sink the negotiations later on or quickly bring down the government once it gets off the ground. The strong performance of Eurosceptic parties in Italy’s 4 March election stands out in a country that was generally pro-European in years past. EURACTIV.fr reports.